COMING TO BOSTON. ATLANTA. NYC. LA. Summer's here and with it comes long weekends on the beach, barbeque and lot's of free education at The Powder Group! 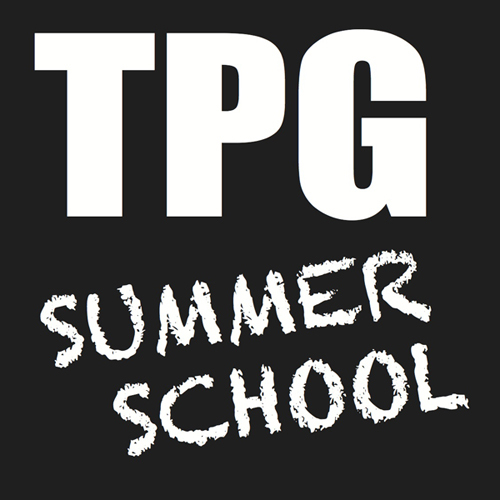 That's right, the Summer of 2018 is the season of TPG Summer School - and TPG Pro Members attend for FREE! Non-members attend for only $65! REGISTER NOW!. On Wednesday, August 8, 15 and 22, 2018, The Powder Group will bring you a different artist session to inform, educate and inspire in seven cities across the U.S. Space is limited for each event, but there is no limit to how many programs you can participate in, so register today by contacting Kelly@thepowdergroup.com for TPG Pro members, and register at the bottom of this page for Non-Members. TPG Summer School events will be held in Atlanta, Boston, Chicago, Los Angeles, New Orleans, New York City and San Francisco this Summer. All TPG Summer School program will take place from 6:00 - 7:30 pm. 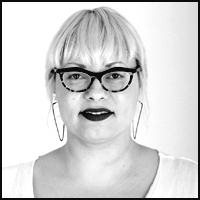 Dianna is a dedicated and creative Boston based makeup artist working primarily in print advertising. She discovered her passion for makeup while studying fashion and art. When she saw these two worlds collide in makeup artistry, she was instantly hooked! Fast forward 18 years later and her diverse skill set has her working in all genres of makeup including editorial such as Lucy’s Magazine, The Improper Bostonian, and Boston Magazine; advertising for brands like Reebok, Timberland, Converse, and Living Proof; TV such as CNN and The Food Network; and celebrities like Amy Poehler, Florence + The Machine, Aerosmith, and Tom Brady. Dianna has also worked the shows at NYFW since 2007. She loves to infuse the creative, fresh makeup she does for fashion into her daily advertising and commercial work. J. Anthony Kosar is an award-winning artist who specializes in Sculpture, Creature FX, Special FX Make-up, Prosthetics, Masks, Props, Concept Art, Illustration, and Fine Art hrough his company Kosart Studios, LLC. He is also a leading FX Educator through his Kosart School for Entertainment Arts. A member of I.A.T.S.E. Local 476 Studio Mechanics Chicago Union, Kosar has been designing make-up effects and sculpting props forChicago P.D.since season 4,Empiresince season 5, andChicago Justice season 1. Some of his other credits include Chicago Fire, Chicago MED, Beats, The Leftovers, Zoobiquity, Defiance, and Chris Brown's music videoHigh End. In 2017, Kosar created prosthetics to turn Jessica Lange into 8 legendary and historical women forNew York Magazine including: Gloria Steinem, Diana Vreeland, Frida Khalo, Simone De Beauvoir, Mae West, Georgia O'Keeffe, Janis Joplin, and Marlene Dietrich. In 2016, Kosar created prosthetics forPlaying Lynch : Psychogenic Fugue to turn actor John Malkovich into 7 characters from David Lynch including John Merrick fromThe Elephant Man. In 2007, he interned at legendary Stan Winston Studio creating effects forINDIANA JONES 4 and James Cameron'sAVATAR. Even long before joining the union, Kosart Studios has been sought out to work on many various projects creating make-up and effects from New York to Los Angeles and everywhere in between, for such clients as FOX, NBC Universal, HBO, Sony, Syfy, Coca-Cola, Fanta, RCA Records, Adobe, Bleacher Report, Turner Broadcasting, United Airlines, US Olympic Team, Six Flags, Nerdist, Verizon, MTV, Music Choice, Lyric Opera of Chicago, Sears, Zagone Studios, Fangoria, Lettuce Entertain You, The Bradford Exchange, The Ashton-Drake Galleries, Sandro Films, New York Magazine, David Lynch Foundation, Squarespace, Spectrum Fantastic Art, and many others. Other celebrities Kosart Studios has worked on include: Taraji P. Henson, Demi Moore, Taye Diggs, Doug Jones, Mekhi Phiefer, to name a few. In 2013, Kosar became theFACE OFF Season 4 Champion.FACE OFF, a reality-based competition on the Syfy Channel is the biggest competition for Make-Up FX, and Kosar won 6 of the 11 Spotlight Challenges, plus 1 of 4 Foundation Challenges, setting the record of most consecutive wins in a row and most wins by a single contestant on a single season. Kosar has since made several other appearances on the show, and has since had several of his students from Kosart School compete and even also win onFACE OFF. Dee Rouzan passion in the beauty industry began long before her career. At the tender age of 12, Dee fell in love with the “beauty” of makeup. She’d often sit and watch her older cousin apply makeup on herself and then sneak to grab a quick sniff her Fashion Fair lipstick! Fast forward to 2018, Dee is an entrepreneur who’ve invested in her dream and turned it into reality. Dee is the Sr. Artist and owner of Faces of Virtue Makeup Studio in New Orleans, Louisiana. Hard work and dedication led to Faces of Virtue Makeup Studio partnering with the New Orleans Pelicans Dance Team and Saintsations Cheerleading Squad. Dee leads a team of six (6) talented artists, spreading beauty over the beautiful city of New Orleans! Dee's education never stops. She is inspired by & learn new techniques through education forums, workshops, and working along side of her peers. Dee specializes in airbrush makeup and love enhancing women from all ethnic backgrounds. Dee’s work has been published in New Orleans Bridal, Style Me Pretty, and Wedding Chicks, just to name a few. With the help of her talented artists, Faces of Virtue Makeup Studio has consectively won theKnot Best of Weddings 2014-2018 and more recently inducted into the Hall of Fame. Dee is happily married with 3 kids, and a new addition, Ms. Kinsley Rose! Check back for BIO Information. The career of make-up artist Alphonse Wiebelt is one of considerable accomplishment. His technical skill and painters eye for color, texture, and detail have firmly established his unique approach to beauty. His twenty-plus years of industry experience has allowed him to achieve widespread recognition for his contribution to the cosmetic industry — from product development, to education to brand conception. Born in New Orleans, Alphonse’s first notion of make-up came from his mother’s precise application of 70’s liquid eyeliner. His interest in color and application quickly moved to painting on canvas. His medium transformed from canvas and oils to the face with an expressive palette of pigments. In 1989 Alphonse was awarded top honors for his work in editorial print in New Orleans which led him to New York to work with CHANEL. Assisting the American Color Director, Guy Lento, from personal appearances to the CHANEL runway, the experience further launched his career. Soon his talent was recognized by Kevyn Aucoin, where he became part of his runway team working the shows of Donna Karen, Isaac Mizrahi, Todd Oldham and Ralph Lauren. Landing editorials in top industry publications, his work in Allure and Glamour segwayed to working with Pat McGrath, Sonia Kashuk and Diane Kendal. The business side of beauty beckoned as he began working simultaneously with product development, education and brand development for Trish McEvoy, Prescriptives and Paula Dorf. In 2004, Alphonse was called upon to co-develop BeingTRUE Cosmetics, introducing a new level of beauty to the spa/salon professional market – acquired and re-branded for TRUE Isaac Mizrahi BEAUTY in 2014. Alphonse’s work in the fashion and cosmetic industry to the celebrity client and everyday woman has built him a well rounded background of experience. In 2010 he co-founded MUSE BEAUTY.PRO as a resource for makeup artist & beauty mavens from advanced education to professional product. In 2012, Alphonse created a professional line of makeup brushes, esum – “tools with intention,” for MUSE BEAUTY.PRO. As Creative Director, he is currently working on the the second phase for esum, the next collection for VISEART Paris and a direct to consumer, lifestyle line of products for LA MIENNE. He is proud to have a platform that has been created to share his vast knowledge and offer a place of inspiration and exchange for make-up artists and future professionals. TPG PRO Members - Registration is Complimentary REGISTER NOW! Non-Members - $65 per session | REGISTER NOW! TPG PRO Members - COMPLIMENTARY, contact Kelly@thepowdergroup.com to register.